I love talking about movies. So do you. Why else would you be here? In the discussion process, it’s very easy to become enthusiastic about certain directors and their films. And the unfortunate byproduct of the genius of these various directors is that it’s easy to fixate on them, often at the detriment of other moviemakers who have plied their craft with similarly deft touches. If you’re a regular reader, you’ve seen at least a few articles about Ingmar Bergman, Buster Keaton, Louis Malle, Luis Buñuel, Martin Scorsese, Edgar Wright, and the Coen brothers. But there is a humongous list of other directors that I love just as much, if not more, than many of the names on that list. Here’s a list of directors that I don’t write about nearly enough. Would you believe that John Huston is one of my favorite directors? You’d never know it. But look at this list of top-quality films he’s made: The Maltese Falcon (1941); Key Largo (1948); The Treasure of the Sierra Madre (1948); The Asphalt Jungle (1950); The African Queen (1951); The Misfits (1961); The Night of the Iguana (1964); The Man Who Would Be King (1975); and Under the Volcano (1984), amongst others. That is some tremendous quality. He’s best known for his AFI Top 100 movies but The Night of the Iguana is one of my all-time favorites. At least part of the appreciation for Huston’s films stems for an appreciation of the man, himself. He was a rebel at heart, embracing revolution and despair in his films like few have. I don’t write about Chaplin much because any time I get the urge to write about classic silent comedy, I instantly pine for Buster Keaton’s films. 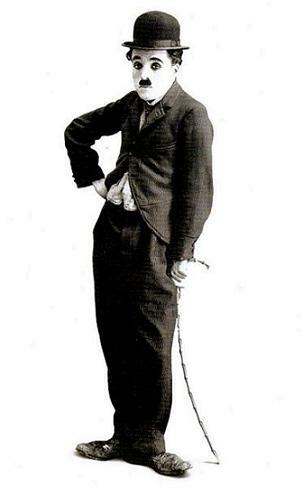 And yet, I’d hate for anyone to think that my Keaton love makes me dislike Chaplin. Far from it. Chaplin was incredible as a performer, as a comic actor, and as a trailblazer in cinema. Between Keaton and Chaplin (and Harold Lloyd), Chaplin is the most popular with the masses. There is a completely valid reason for that. He was an icon who deserves his place in the pantheon. I really wish that Cassavetes was more widely known. If you’ve ever watched an independent American film, whoever made it owes a debt to Cassavetes. It’s impossible to watch Cassavetes films and not see the roots of the best 80s and 90s American independent films. The beauty of it is that Cassavetes films were firmly planted in the American cinematic tradition, but took on a decidedly European arthouse flair. Speaking of American roots, Sam Peckinpah was phenomenal in embracing all of the things that make up American excess in film, and doing it at a time when it wasn’t really done. Peckinpah’s films were violent, bloody, and sexually titillating. He did all of the things that cause people to poke fun at American cinema, but he was the first. And more importantly, he did it right, in a way that feels absolutely perfect when he did it. And everyone else since then seems like a hack. There are a ton of fantastic directors working today. I love to acknowledge a lot of them–Edgar Wright, P.T. Anderson, Darren Aronofsky, and Wes Anderson are just a few. And yet, the one that I’ve barely mentioned is right up there with all of them. Del Toro has his feet firmly planted in the tradition of classic sci-fi and horror, is willing to take on CGI, and does it all seamlessly. I’d go so far as to say that nobody uses CGI as effectively as del Toro. The effects are never ever the story in his movies, nor are they a crutch. No director working today does a better job of splitting the middle of my desire to be entertained and my desire to see impressive movie-making. This is very much a similar script to what I wrote about John Huston. Hitchcock is one of my very, very favorite directors and I’ve never once bothered to write about him in depth. I think it’s because I’m intimidated by the sheer depth of his genius. That’s sort of a ridiculous thing to say. I understand that much. 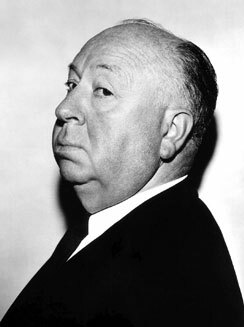 But more so with Hitchcock than any other director, it’s true. I guess what I’m saying is that there are no words at all that I could produce that would properly pay tribute to the dirty old man. Altman’s MASH (1970) was a turning point in film, a coming out party for the famous realism embedded in his overlapping dialogue. From that point until his death, all he did was chisel out a spot among the American masters, all from an outsider’s perspective. His filmography is impressive. In addition to MASH, he also made Nashville (1975); a Bergman homage with 3 Women (1977); McCabe & Mrs. Miller (1971); Secret Honor (1984); Short Cuts (1993); and Gosford Park (2001). He deserves more attention than I’ve given him. Fritz Lang was a monster of early cinema. M (1931), Metropolis (1927), and his first two Dr. Mabuse films are widely considered some of the very best films ever made. He was a champion of expressionist film. He fled Germany and the Nazis in 1934, coming to the U.S. to make several films that would serve as the segue between expressionism in Europe and film noir in the U.S. Those films were a large part of the bedrock that helped create American film noir. The French New Wave loved him, with Jean-Luc Godard even placing him in Contempt (1963). The independent film revolution of the 1990s took place when I was in high school and college. I got to see it up close. I’m familiar with, and have covered, a lot of the films and champions of that movement–Quentin Tarantino, Kevin Smith, and the Coen brothers have all been popular topics. But I didn’t really tackle most of Spike Lee’s work until much later on, after the indie party was over. Most of the time, I was annoyed that I’d waited so long. 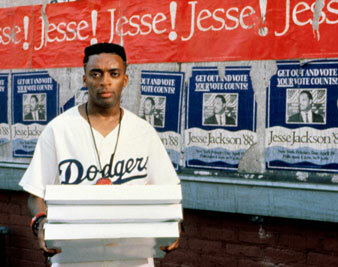 Do the Right Thing (1989) is a very deserving member of the AFI Top 100. Malcolm X (1993) is an engaging, fascinating biopic. Jungle Fever (1991), Crooklyn (1994), and Clockers (1995) all have their charms, as does 25th Hour (2002). He conquers very uniquely American themes, and does it with a style all his own. This sin is two-fold. Not only have I neglected to properly write about Powell, and Pressburger by proxy. I have also failed to see most of their films. I’ve seen Black Narcissus (1947) and The Red Shoes (1948), which were both fantastic films. I’ve also seen Powell’s Peeping Tom (1960), which is one of the best arthouse horror films you’ll ever find. And that’s it. This means that I haven’t seen The Life and Death of Colonel Blimp (1943), 49th Parallel (1941), The Small Black Room (1949), I Know Where I’m Going! (1945), or The Thief of Baghdad (1940). The duo has been honored by the Criterion Collection, and I’ve only just scratched the surface. The list of great directors is very long. The more you look, the more appear. I’m sure it was just an oversight not to mention “A Matter of Life and Death” by Powell & Pressburger. Add it to your queue immediately! I need to try “Colonel Blimp” again. It was too British for me, and I turned it off after 30 minutes (which is rare for me). Later I heard the first 30 minutes are slow and then it picks up. Great call, and definitely an oversight. That link is insanely comprehensive. This list was a long time coming. Glad to see it here. Though recently you haven’t really mentioned Bergman, Malle and etc. very much, and you’ve switched your focus largely to TV and *shudder* baseball. No complaints from me though, but honestly I do miss some of the stuff you did last year and earlier this year. I’m working on a motherfucking big list of directors that will be posted on Friday. Then I’ll be going on holiday, and films will be the brutally replaced with such things as alcohol, TV and other… trivialities. Bergman’s been involved in one way or another- mentioned, at least- in 55 of the articles I’ve written here. Malle’s been mentioned 27 times, including relatively in-depth articles about his work. Scorsese’s at 34; Buñuel is at 24; Keaton is over 20; etc… At some point, what else can be said that hasn’t already been said? Or better yet, what else could I say that actual film scholars and actual journalists who get paid to critique films haven’t mentioned before? In the last few months, I’ve written about Billy Wilder, Preston Sturges, Jean Vigo, a feature about silent film (featuring Santa), my desire to see classics on the big screen in the future (including American classics, so they won’t necessarily be foreign), a tongue in cheek entry about the work of Woody Allen, the sociology of film, a healthy list of my favorite Criterion horror selections… And yes, that stuff has been balanced out by a once in a lifetime chance to get excited about baseball, and has been mixed in with a healthy dose of some TV articles. I try to have a good mix. If someone can come here and see a classic director or film (foreign OR American) featured and it draws them in, that makes me very happy. If fans of certain TV shows can do the same, that makes me very happy. If fans of horror or b-movies or people who want a laugh can find something they enjoy here, that makes me happy. I try to cater to my own interests, but more importantly I’m trying to keep those interests as varied as I can. Most of all, I hope that those things appeal to the people who read. Not all of my readers are as into the same 5 directors again and again and again as I am and after about 2 weeks of constantly mentioning them, it’d become very boring for them. I completely understand. Thanks for laying out the facts, too, it was good to know them. I am happy with what is happening at TDYLF and a lot of it is that I don’t know what neat ideas you’ll come up with next, and they’re always interesting and original. Hell, even the ones I don’t like are still excitingly presented and I’ll read them anyway. You’re a great writer John, and the more I think about what you’ve said, the less I want you to change a single thing. This is a great site – no, an AMAZING site, and every day I find myself unable to resist having a peek to see what inspirational new article or graphic design piece you’ve come up with, and you can count on me to keep returning, as a constant reader and admirer of your work. Ha… Spike is a bit of a love him or hate him director, and I’ll admit- his last 10 to 15 years have had some real duds. But I really like his early and middle year stuff. It’s sort of an African Americanized version of Scorsese, with the gritty NYC streets and the camera in constant motion. IIRC, those two have a lot of respect for one another and I can see why. Thanks for noticing, Scott. The old one was dated, and sort of fit into a different design that I had in mind. It was time for a quick update, without a total overhaul. I can’t lose the Andalusian Droid. Huston and Hitchcock a great directors but there is so much written about them that you don’t want to repeat what is already been said. Chaplin is a personal favorite and I would love to write a piece about him but I just don’t know where to start. I love the man and the artist. I’d love to discover more from Lang, because his lesser known pictures are amazing and he made himself a nice spot in the pantheon of Film Noir directors! Peckinpah is a raw precursor in American Cinema. Cassavetes lacks in my movie knowledge (I’ve only seen Husbands which I liked a lot). Altman is harder to get but a rich and dense director. Lang’s German work alone has more masterpieces than most directors make in a lifetime. RE: that book, is that the one about Miramax? I know there’s one that focuses on Miramax in the 90’s and I’ve had my eye on it for awhile. Or, at least, I’ve been thinking of reading it for awhile. Cassavetes’ Killing of a Chinese Bookie is great. And really, everything he made from 1959 until 1976 or so, that I’ve seen, has been spectacular. I second Phil on “A Matter of Life and Death”, and also add Huston’s “The Dead.” Somehow, the greatest short story written in English becomes an amazing film! Reading it, you’d never see a movie in it. The Dead is a great movie. It’s sort of belongs in a jacked up list of Christmas movies that aren’t really Christmas movies. It was a hell of swan song for John Huston.